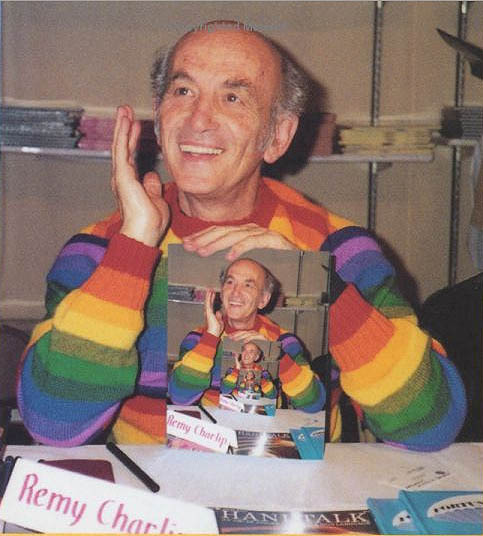 REMY CHARLIP was born on this day (d: 2012); Charlip was an American artist, writer, choreographer, theatre director, designer and teacher. In the 1960s Charlip created a unique form of choreography, which he calls “air mail dances”. He sends a set of drawings to a dance company, and the dancers order the positions and create transitions and context. He performed with John Cage, and was a founding member of the Merce Cunningham Dance Company for which he also designed sets and costumes. He directed plays for the Judson Poet’s Theater, co-founded the Paper Bag Players and served as head of the Children’s Theater and Literature Department at Sarah Lawrence College.